Some years ago I set up a Google alert for “Brooklyn Heights” in order to get any news about our neighborhood soon after it appeared. One thing I quickly learned was that city-wide publications were inclined to give an expansive definition to “Brooklyn Heights”, often reporting incidents in Downtown Brooklyn, Boerum Hill, or even Gowanus, as happening here. I also noticed that I was getting news about a suburb of Cleveland (see photo). Later, I learned that Brooklyn Heights is part of Thomaston, Maine and a park in Maryland. Then there’s Prestige Brooklyn Heights, a luxury high-rise in Bangalore, India’s tech capital. As for the “what?”, “Brooklyn Heights” is a line of handbags by the late Kate Spade. It’s also a Pizzeria in Austin, Texas. Now for “Who?” As it turns out, there are two drag queens who use “Brooklyn Heights” as their stage name: one in Baltimore and one in Toronto. Also from Toronto, but now living in Nashville, there’s Brooke Lynn Hytes. It seems we have quite the brand. Excellent, Claude! 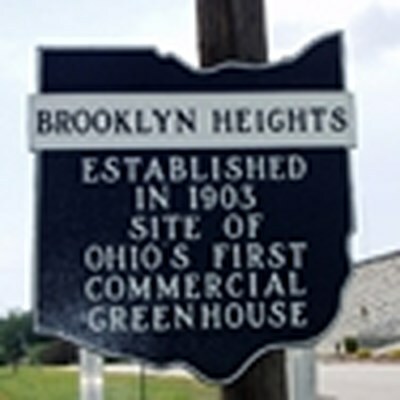 Having spent a good deal of time in Brooklyn Heights, Ohio, I am happy to report that it doesn’t hold a candle to our neighborhood (no surprise)—nothing, as I recall, but highway-side chain restaurants and motels, drab commuter housing, gas stations. A characterless middle space between the airport and the urban city’s western edges. I stumbled across the Brooklyn Heights in Maine. If I can find the photo I took I’ll post it.